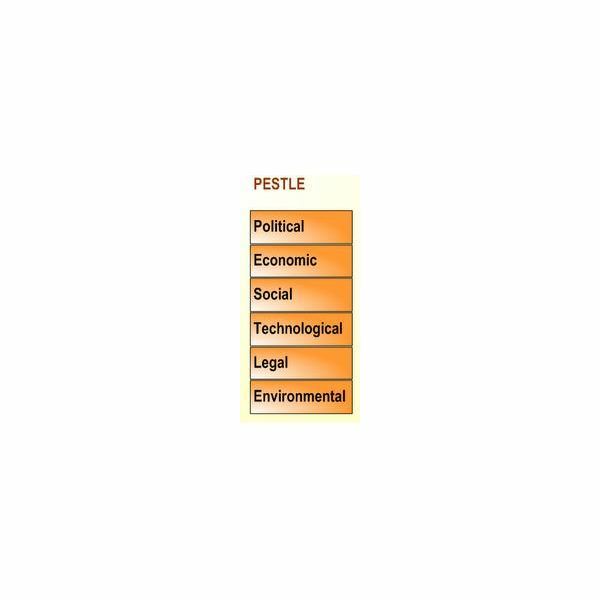 The PESTLE (or PESTEL) Analysis is a tool that is used to identify and analyze the key drivers of change in the strategic or business environment. The abbreviation stands for Political, Economic, Social, Technological, Legal, and Environmental factors. The tool allows the assessing of the current environment and potential changes. The idea is, if the project is better placed than its competitors, it would be able to respond to changes more effectively. The term has been widely used and the earliest reference can date back to a book by Aguilar in 1967 who discussed ETPS (Economic, Technical, Political, and Social) in his book Scanning the Business Environment. After this publication, came the work of Brown who modified the theory and named it STEP (Strategic Trend Evaluation Process). This was further modified and became known as the STEPE analysis (Social, Economic, Political, and Ecological factors). Post 1980, the word PESTLE originated along with its variations like PEST, STEEPLE (includes Ethical factors), PESTLIED (includes Demographic and International factors), STEEPLED (includes Demographic and Education factors), etc. The PESTLE Analysis tool can be used for business planning, strategic planning, marketing planning, product development, and organizational planning. The PESTLE tool provides its users with factors that need to be well researched and brainstormed. These factors are better explained in the next section. Political: Every project has both internal politics and external politics. The internal politics like team jealousies, cohesive projects, and personal interests occur in all projects and must be considered and managed by stakeholders. The external politics refer to those which the stakeholders do not control. These events include all political events like employment laws, tax policies, trade restrictions, trade reforms, environmental regulations, political stability, tariffs, etc. Economic: This factor takes into consideration all events that affect the internal and external economic environment. The internal or micro-economic events relate to the project viability and internal soundness of the project. Financial models and accounting techniques need to be used during the evaluation phase to ensue viability of the project. The external or macro-economic events include interstate taxes, embargoes, interest rates, economic growth, recession, inflation rate, exchange rate, minimum wage, wage rates, unemployment, cost of living, working hours, credit availability, financing availability, etc. Sociological: The sociological factor takes into consideration all events that affect the market and community socially. Thus, the advantages and disadvantages to the people of the area in which the project is taking place also need to be considered. These events include cultural expectations, norms, population dynamics, healthy consciousness, career altitudes, global warming, etc. Technological: This factor takes into consideration all events that affect technology. Since technology often becomes outdated within a few months after it is launched, it is important to consider this. This factor could also take into consideration all barriers to entry in certain markets and changes to financial decisions. Legal: This factor takes into consideration all legal aspects like employment, quotas, taxation, resources, imports and exports, etc. Environmental: This factor takes into consideration ecological and environmental aspects that could be either economic or social in nature. These include temperature, monsoons, natural calamities, access by rail, air, and road, ground conditions, ground contamination, nearby water sources, and so forth. The tool is simple and easy to understand and use. The tool helps understand the business environment better. The tool encourages the development of strategic thinking. The tool helps reduce the effect of future business threats. The tool enables projects to spot new opportunities and exploit them effectively. The tool allows users to over-simplify the data that is used. It is easily possible to miss important data. The tool needs to be updated regularly to be effective. The tool is most effective when users come from different perspectives and departments. The tool requires users to have access to data sources which could be time consuming and expensive. Much of the data used by the tool is on an assumption basis. The business environment is changing drastically. Thus, it is becoming increasingly difficult for projects to anticipate developments. Identify the implications of each event noted in the analysis for the project. It is important to assess their impact over time, by type, and by dynamics. All events need to be classified by their importance or criticality. For example, a project manager could classify them under very very important, very important, important, significant, and insignificant. If used properly, the PESTLE analysis can be very effective in its scope for understanding market and business position. The PESTLE analysis alongside SWOT can be used as a basis for analyzing the business and environmental factors of a project.